Two service dogs-in-training have been named after two Boston firefighters who lost their lives in a Back Bay fire earlier this year. 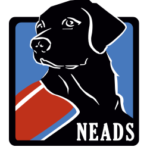 NEADS/Dogs for Deaf and Disabled Americans, a nonprofit organization based in Princeton, Mass., will hold a special event Thursday at the Engine 33, Ladder 15 Firehouse in Boston to honor Lt. Edward Walsh and firefighter Michael Kennedy, who died in March. Walsh’s widow, Kristen Walsh, and Kennedy’s mother, Kathy Crosby-Bell, will have the opportunity to meet the two dogs that they have each been named in honor of the fallen men.